Look what we’ve got back in the shop! 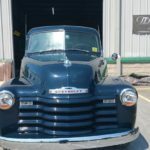 The beautiful 1951 Chevy truck we restored and painted in pieces a few years ago. 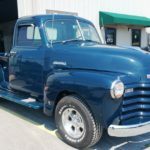 This restoration was done a little differently than most because the owner wanted to put the truck back together himself. 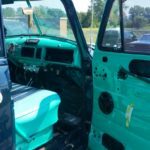 He would bring us a set of parts and as we completed them, he’d bring us another, until we finished every part down to the cab. 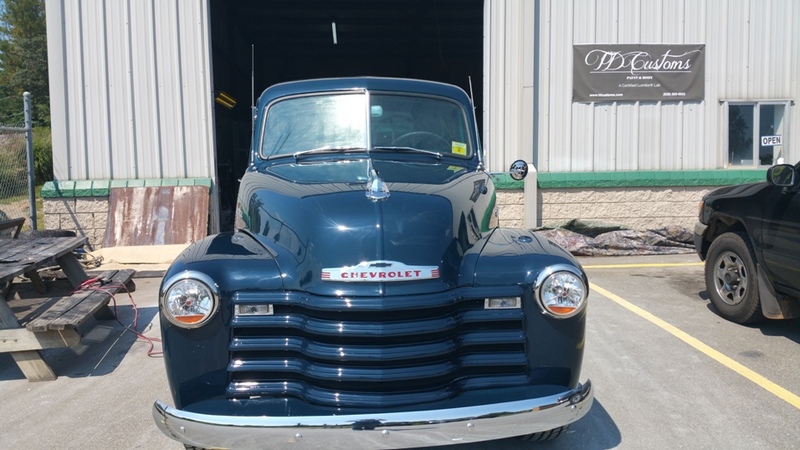 This truck is very sentimental for the owner. 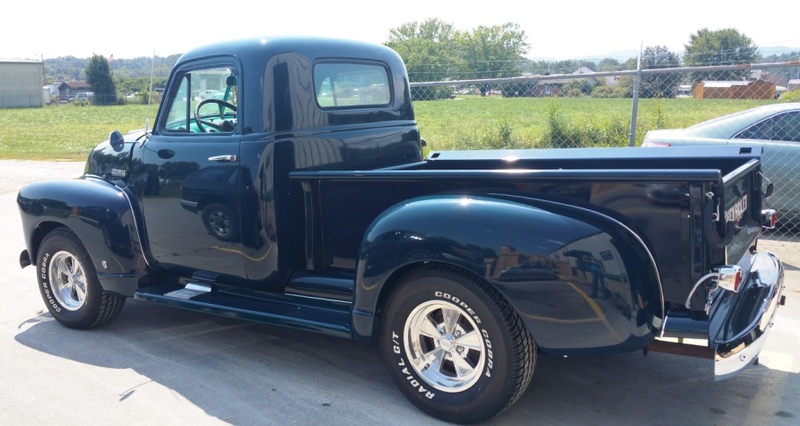 His late father bought the truck brand NEW back in 1951. 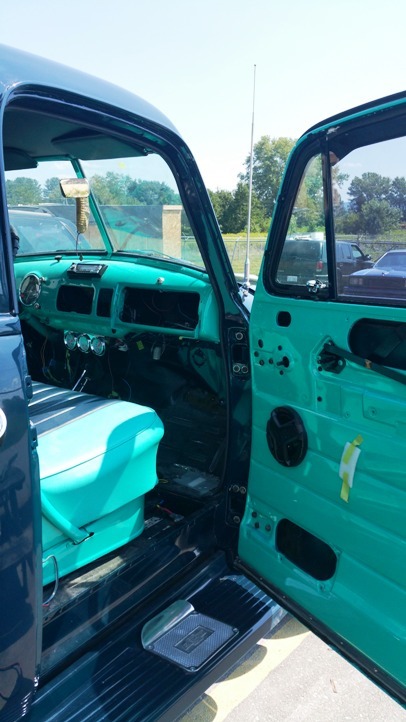 In 2013, he brought the truck to us to restore and paint, but wanted to put the truck back together himself. 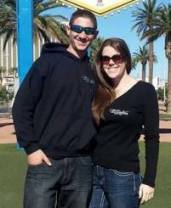 He enjoys working on it, so it was a labor of love getting it all put together in his free time. We can definitely appreciate that. We agreed he’d bring the truck back when it was ready and we’d give it a final buff and polish. 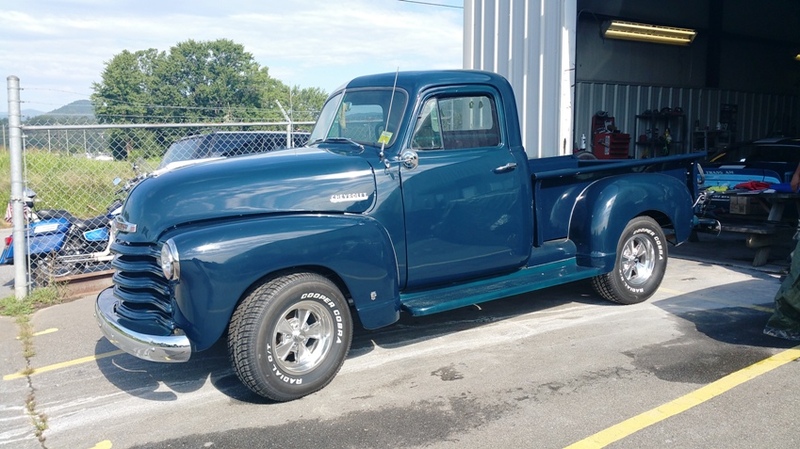 It’s always nice to see an old customer, especially the ones we’ve developed a relationship with over the course of their restorations. 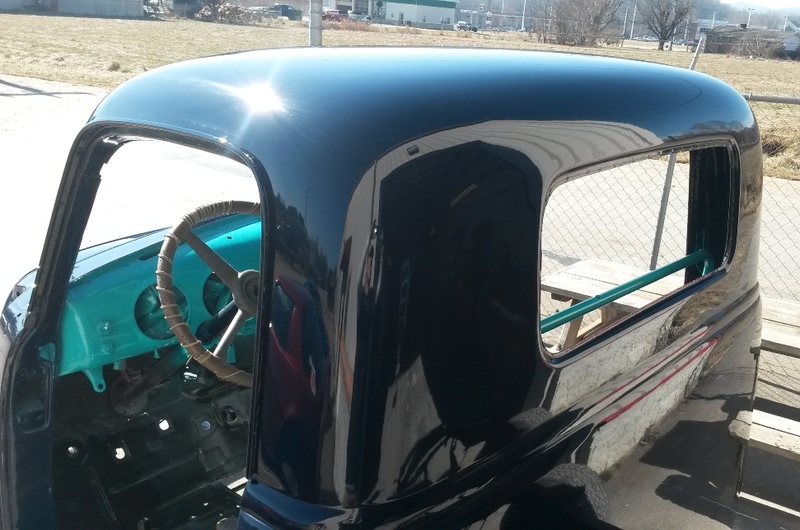 Many of our full automotive restorations take a few months to finish, so we always encourage customers to stop in and check on the progress along the way. 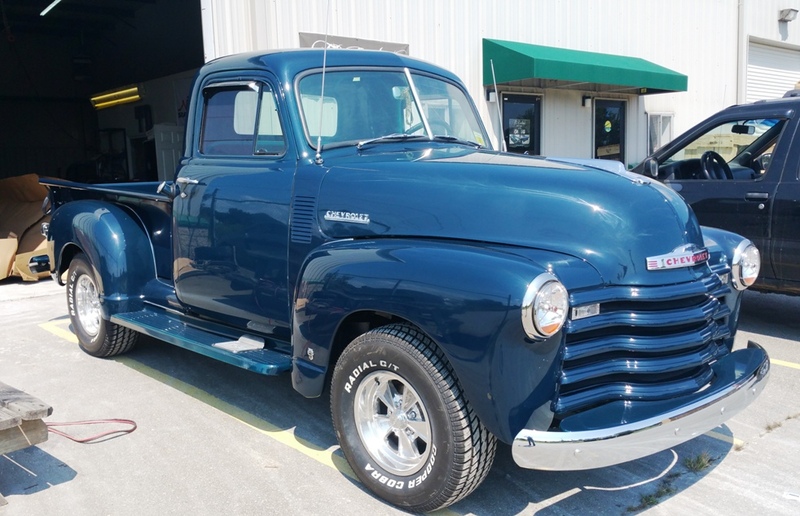 There are two paint colors on the truck; the darker blue/green exterior and a bright teal for the interior. 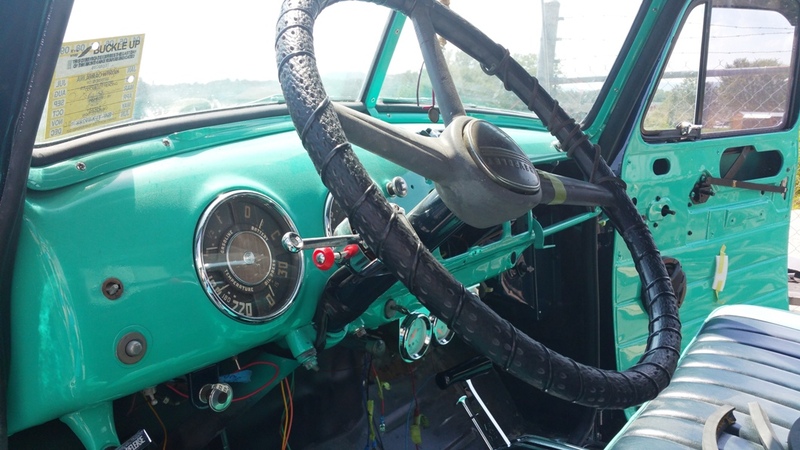 The insides of the doors and the interior dash were all painted a bright teal. 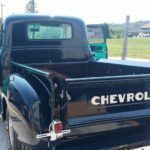 It adds a great pop of color to the overall look of the truck. 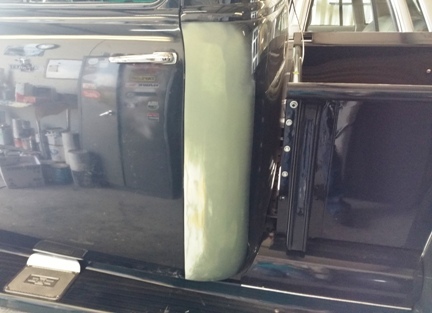 After the owner got the truck assembled, the driver’s door didn’t line up perfectly with the back corner of the cab. 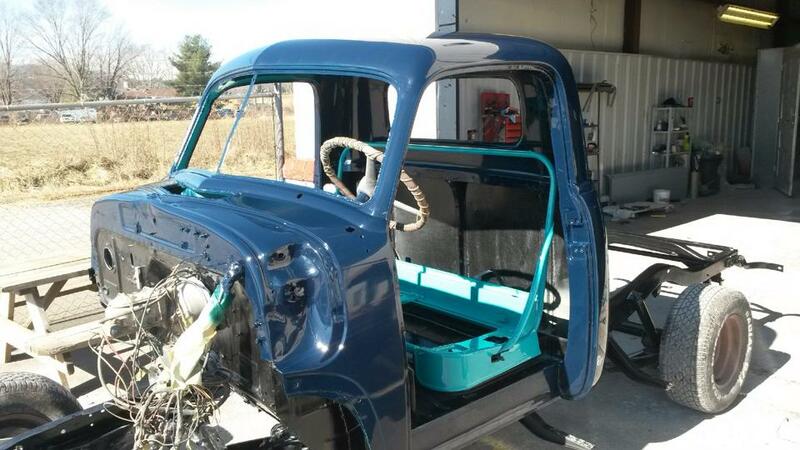 We ended up having to do some body work to the cab to get it all lined up just right, and repaint this small area. 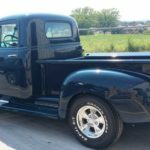 Typically we will get all the parts primed and then put them on the truck and check that everything lines up perfectly. Sometimes we’ll need to adjust hinges or do some body work to make certain panels line up just right. Once everything fits and is in place, we do the paint. This reduces the risk of damaging the paint job during assembly and keeping those panels from not lining up. We’ve had a few customers who like to take part in some of the assembly. Maybe they’ll put the finishing touches on, like the headlights, door handles, emblems, etc. so they can be involved as well. 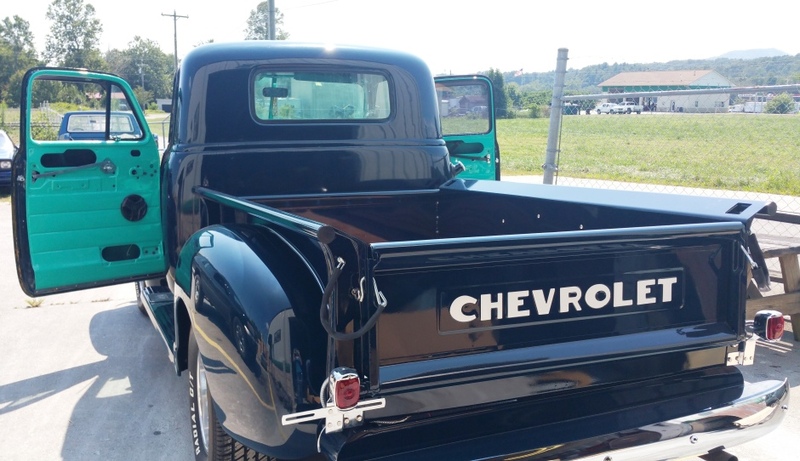 After a small adjustment, the door lines up perfectly and the truck looks great. The lines on some of these old classics can be hard to work with since they are so rounded. There is more contouring that needs to go into it to make sure the curves are just right. Luckily Tim is a pro and those rounded panels are so smooth! Check out the difference in the pictures above and below. 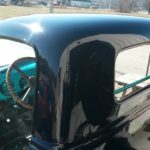 Depending on the light it’s in, the paint can look like a deep navy or a lighter blue. And from certain angles, you can see a slight touch of green. 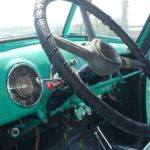 More photos of this beautiful ’51 Chevy are in the gallery below. Be sure to check out even more photos of our work in the Photo Gallery. Contact us if you’d like to discuss a project of your own. 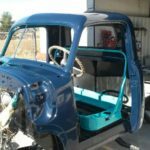 No Replies to "1951 Chevy Truck Restoration"